The Avenue Theater has been the literal and figurative heart of the Portola for more than 90 years. It sits in the geographical center of the neighborhood’s commercial corridor and is the tallest and most notable building around. Despite that, it has spent the last thirty plus years decaying and in disrepair. Over the past several years the PNA worked with the City and the property owner to form an agreement that would lead to the renovation of the historic facade and the relighting of the theater’s classic neon lights. 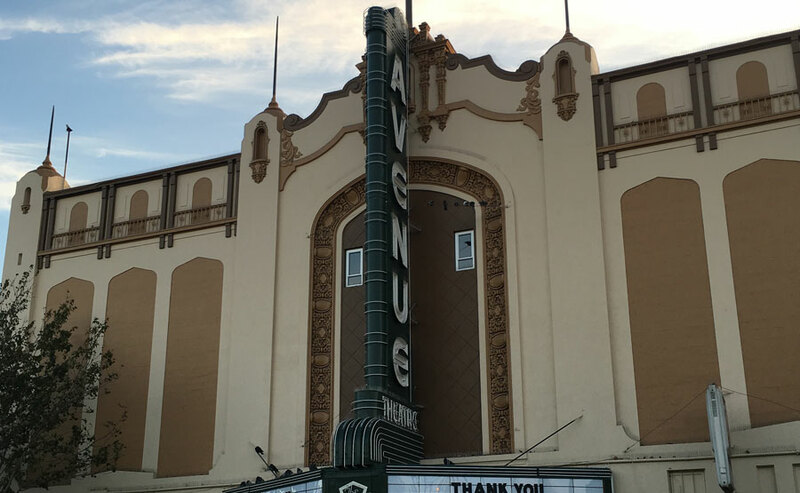 The PNA fought for and won grant funding for the project, and struck an agreement with the owner that they would fix the facade in exchange for an extremely generous lease on the empty retail space on the ground floor of the theater. Over the past six months, the PNA has worked with electricians, painters, neon benders and many others to create a project that honors the history of the building and has attracted an ice cream shop to the empty retail space. For the first time in more than 30 years, the community can see the theater and the street lit up once more. The Portola Neighborhood Association and its Corridor Manager Luke Spray have revived and activated the facade of the Portola’s Avenue Theater.